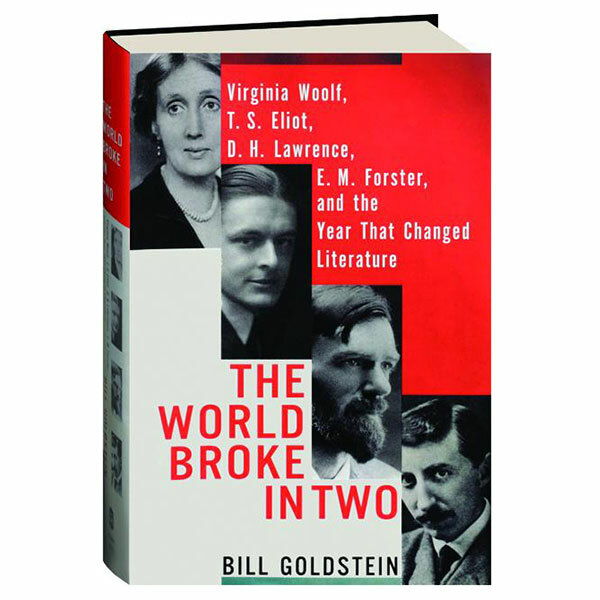 Bill Goldstein’s critically praised book The World Broke in Two: Virginia Woolf, T. S. Eliot, D. H. Lawrence, E. M. Forster and the Year That Changed Literature (Henry Holt and Co., 2017), which draws from research at the Ransom Center, broadens our view of Modernist writers from the vantage point of a single year. Leigh Hilford: Why did you choose the year 1922 as the focus of your book? 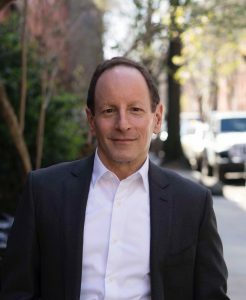 Bill Goldstein: The year 1922 is very often seen as a watershed moment in literary history: James Joyce’s Ulysses was published in February, and Eliot’s The Waste Land in October. The title of my book comes from a remark of Willa Cather’s from the mid-1930s that “the world broke in two in 1922 or thereabouts.” She was referring to the changes in literary fashion brought about by those two epochal books. I wanted to focus not on what was published in 1922, but rather what other writers were doing in that year “the world broke in two.” And what they might have done to further that break. Did you focus on specific authors at the Ransom Center or take a broad approach to this research? I’d begun thinking through the book and the structure and the focus, and even did a fair amount of writing, before I got to Austin. I knew I would look at specific collections at the Ransom Center. But it was thrilling to discover in person the breadth of the holdings— and the depth. I’d say the biggest surprises were items in the collections I’d already pinpointed as of interest. Even though I knew the literary story of 1922 that I wanted to tell, and the writers who would be my main subjects, as I continued my research at the Ransom Center even though the story of the year stayed the same, the details changed completely. Research changed the narrative in ways I couldn’t have foreseen. What was in the collections was so much richer and more vivid—and more pertinent—than I could have hoped. One of the most important things about the enormity of the Ransom Center’s holdings is that they are not papers of only famous writers. When you are writing a biography, the most interesting and illuminating —even revelatory material—is often to be found in the papers of those who knew the people you are writing about, many of whom are not wellknown at all. It is often through their eyes that you see the central figures in your book whole, or in a new way. Did you discover anything while working here that changed your research focus or surprised you? Everything surprised me! Even if it was just the miracle of holding the actual piece of paper on which some letter or manuscript was written—the constant reminders that this was not a facsimile, but the paper Virginia Woolf or D. H. Lawrence touched, this was the ink. I was very lucky to have two months in Austin because of the Center’s fellowship program: I didn’t have to stop before I got to what, in the abstract, might have seemed collections of lesser importance and which at other institutions I might not have had time to get to. The perfect example is the Mary Hutchinson papers. Mary Hutchinson was on the edges of Bloomsbury: she knew Virginia Woolf, and was a friend of T. S. Eliot and a close confidante of his and his wife, Vivien, particularly during the period I was writing about. The greatest find perhaps in all of my research was in her papers. Hutchinson was the mistress of Clive Bell, Virginia Woolf’s brother-in-law (married to Vanessa Bell, Woolf’s sister) and a critic famous in his own time. And he wrote hundreds of letters to Hutchinson over the years, including dozens during 1921–1923, the period in and around “my” year. For me they contained stories and observations of unparalleled value. I quote many of the letters in my book, and they are probably the funniest (and sometimes cattiest — even nastiest) comments of all. I also looked at the writers’ correspondence, some of which spanned decades. For example, letters between Forster and his friends J. R. Ackerley, Malcolm Darling, Leonard Woolf, and Lytton Strachey were substantive and essential to understanding Forster’s character. And the fact that people, famous and not, saved their letters, often hundreds of them, gave me a sense of how beloved they were by those who knew them, even when those same friends sometimes found them very difficult to tolerate. How did the collections help you tell the story of this significant year? What do you think archival material adds? I felt confident that there were new things to say about these very famous writers by looking at them in relation to one another and during a specific period of time—even though so much has been written about each of them. By narrowing the chronological focus I had more room, paradoxically, to juxtapose the material—diaries and letters against manuscripts—and to see how the range of things that they wrote might illuminate one another. For example, as my book opens, Virginia Woolf is trying to finish her third novel, Jacob’s Room. It has taken her longer to do than she’d anticipated, and on top of that she is very sick with influenza. She’s frustrated about her work, and in despair about her creative prospects; she is at a loss about what to write next. In the spring, she conceives of and begins to write a short story called “Mrs Dalloway in Bond Street.” By the end of the year, she sees that it has “branched into a book”—and in November she writes out lengthy notes for what becomes the novel Mrs Dalloway. Goldstein was the recipient of a Harry Ransom Center research fellowship jointly supported by the Frederic D. Weinstein Memorial Fellowship and Andrew W. Mellon Foundation Research Fellowship Endowment. This story originally appeared in the Spring 2018 issue of Ransom Center Magazine.